Barkadas have another choice for an eat-out gimik: Halo Café. It is named so because of the kind of food they serve – light and healthy. This cozy little place is located at the Cubao Expo in Araneta Center. Here, diners can enjoy vegan dishes like the veggie burger and veggie burger steak, veggie medley lettuce wraps, and eggplant & cheese wholewheat tortilla. Halo also offers pasta dishes, so if you’re adventurous enough, you may want to try the spaghetti with malunggay pesto. They do not serve red meat; only chicken and tuna. Their line up of beverages are must-try. There’s the bohol coffee, bohol tsokolate, wheatgrass cold tea and Halo’s house specialty the tarragon tea. 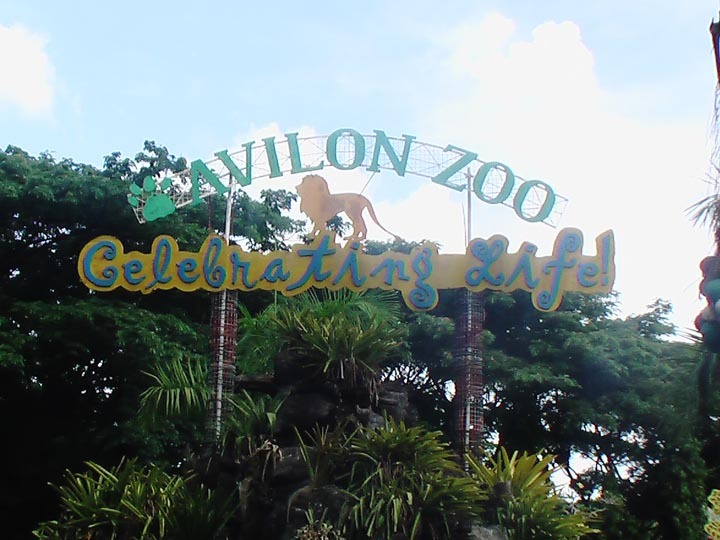 The first time I visited Avilon Zoo a couple of years back, I really loved the experience! Yesterday (April 5), together with some friends from work, I spent a whole day at Avilon Zoo for the second time, and boy, I had a wonderful time! As they say, the second time is always sweeter, well in this case, much, much better than the first since a lot of improvement had been done by the administration of the zoological park (and still doing more until now, kudos to them). Unlike my first visit, our small group didn’t hire a tour guide. Since I’ve been there before, maybe I’ll just be the tour guide (minus the explanation about the animals, of course! 😀 ). Avilon Zoo is a seven hectare park and it’s fun to get lost at such a big place when you’re with carefree, good-tempered people. Nobody complained about all the walking, the heat or to those who arrived a little late. All of us just had fun! And I’d like to share just how much fun we had. 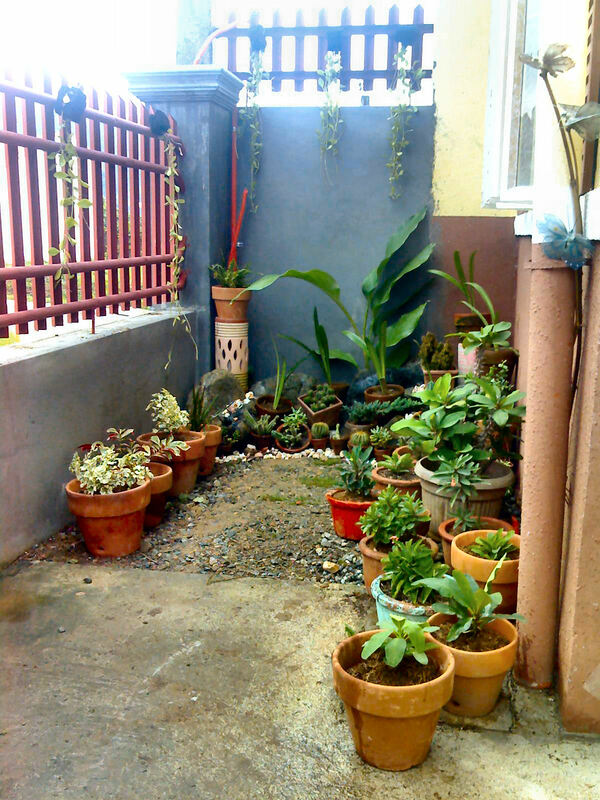 Something to do on a not-so-busy weekend–gardening! 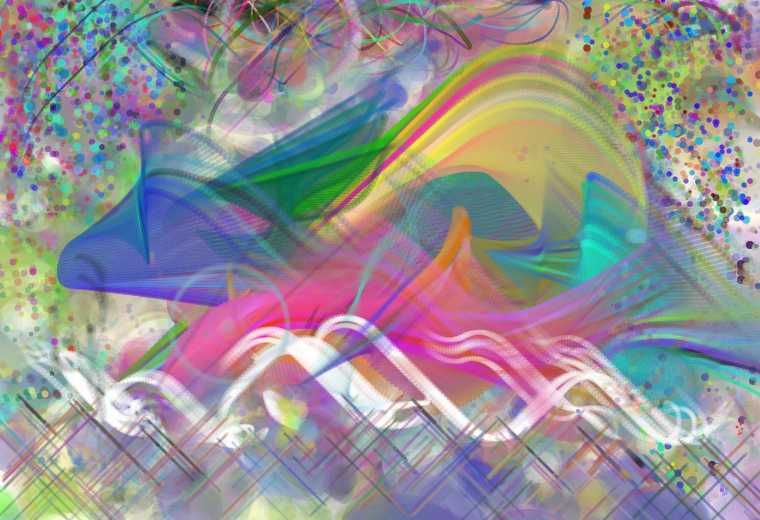 That’s what my sister and my aunt did a few Saturdays ago. 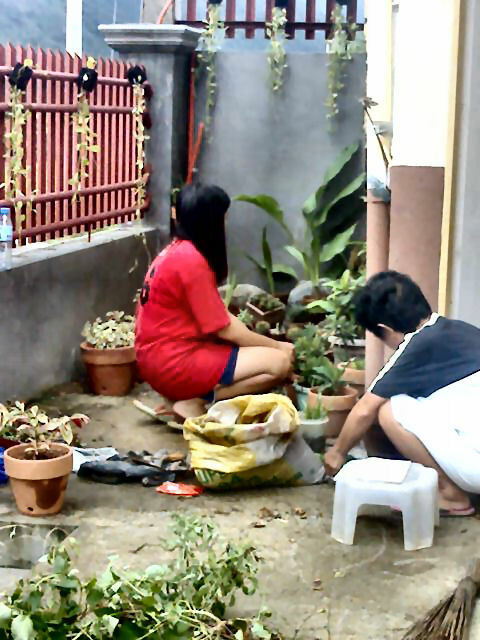 The busy gardeners, seriously committed to create a nice work of art in this little corner in the yard. All in place after hours of labor. Love the Zen-looking arrangement in the center! 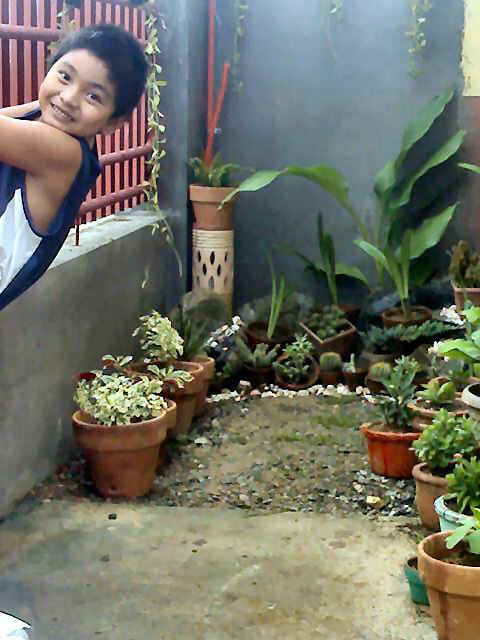 The eager little helper (read: saling-pusa!). I finally had a taste of Ratatouille yesterday. Not the French dish, but the latest Pixar/Disney animated film. When I first saw its trailer, my impression was it’s melodramatic—a story of a sorry-looking guy who wants to be a chef and a rat that has talent in the kitchen. To say that I had fun is an understatement. Even my mom, who rarely watches animated movies, had a grand time. 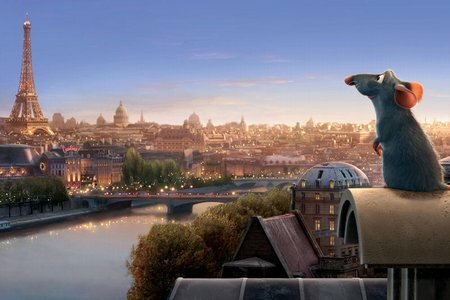 Ratatouille premiered in Philippine cinemas on July 25. The theater was surprisingly full when we watched, considering that it’s running on its 4th week. And the film seemed to have attracted more adult audience than children. Do you love nature trips? Yesterday, August 1, I became an instant photographer for a colleague. I did it willingly, since I love nature trips. 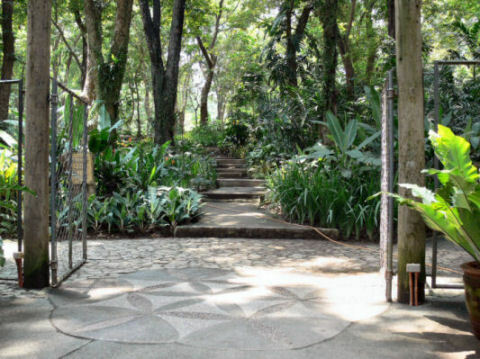 We went to La Mesa Eco Park, which is located in East Fairview, Quezon City. 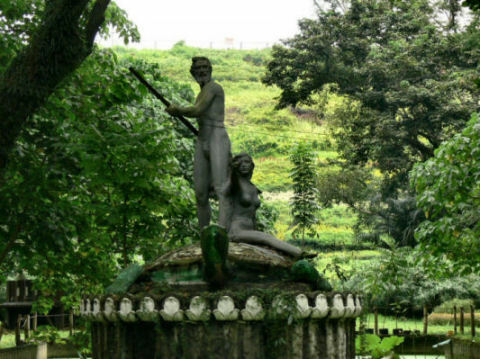 I knew of the existence of La Mesa Watershed and heard about the park inside, but I didn’t know that the park had been there since the time of the Marcoses. 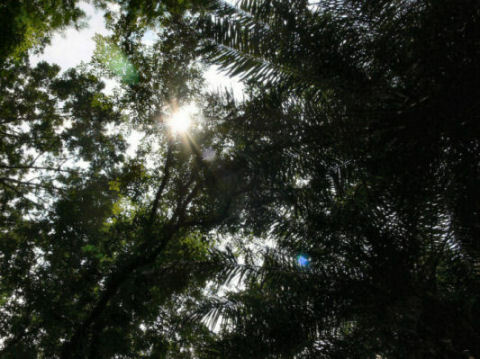 It was only when I was asked to take photos did I do a little reading about La Mesa and learned that in April 2004, it was rehabilitated and made into a nature park, thus, the birth of the La Mesa Eco Park. 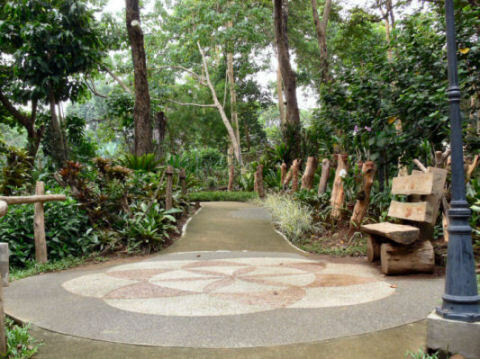 La Mesa Eco Park offers numerous amenities that visitors can enjoy. It’s known as the only park in Manila that has salt-water (said to be healthier) pools open to the public. Aside from the pools, there are picnic and biking areas for families to enjoy. Marvel at the flower terraces or go fishing at the nearby lagoon. The salt-water swimming pool, the stairs that lead to the top of the flower terraces, and the fishing lagoon. The park has a fitness trail, too, for the health and fitness buffs. In front of fitness trail entrance is a man-made lagoon that is covered by green moss (I don’t know what it’s called). It’s actually my favorite area. 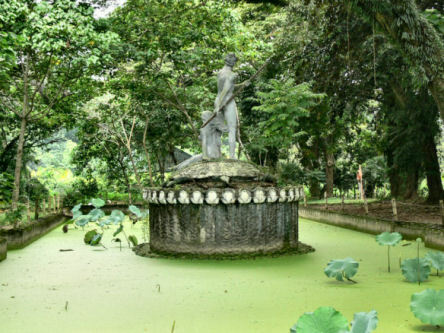 In the middle of the lagoon is a sculpture of Neptune and Aphrodite riding a giant sea turtle (pawikan), honed by—according to our tour guide—national artist Napoleon Abueva. It’s a beautiful creation. Looking at it from the back, it seems to be moving away from you; like it has a definite destination and the sea turtle is determined to bring its passengers where they want to go. The path to the Fitness Trail, NA’s sculpture–front and back views. There’s a boating area a few meters away from the Eco Center (Pangasiwaan), with a view of the old dam at one side. Another must-see/must-visit area is the Orchidarium. 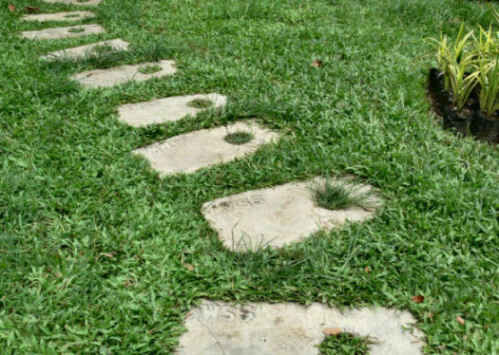 It’s an enclosed trail with varieties of orchids placed in various parts of the circular sanctuary. I’m sure it’s a sight to behold when the flowers are in bloom. It’s my second best. 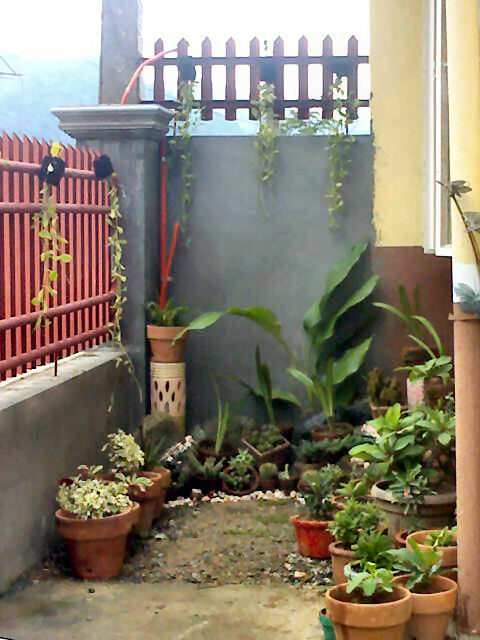 You can spend long quiet hours to just relax or hide from the scorching heat of the sun, with only the birds and butterflies to keep you company. The boating area, entance to the Orchidarium, shaded from the noon star, a bench to rest as you go around the orchid garden. 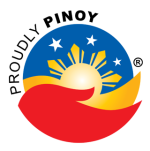 Ikaw ay kasalukuyang tumitingin sa archive para sa leisure na kategorya.